Today’s marketers have countless options when it comes to social media. Some platforms peak in popularity and then quickly disappear. This makes it difficult to determine which channels to invest time and budget in. 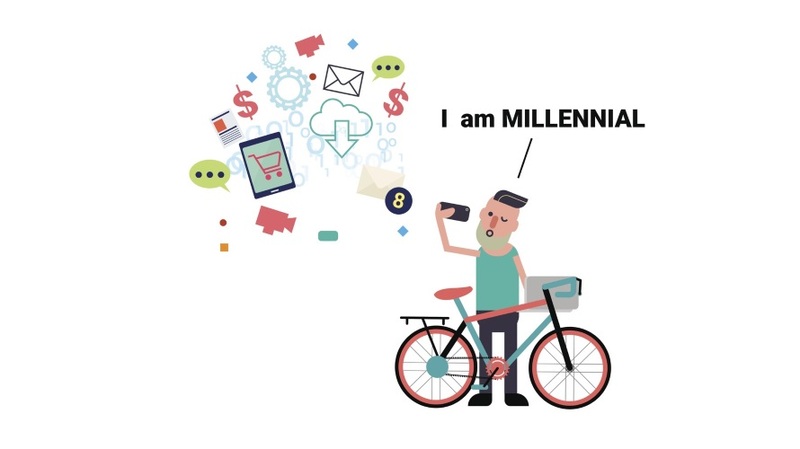 For digital marketers specifically targeting millennials, this adds an extra challenge. Millennials are always looking for the “next big thing.” By the time marketers decipher which platform millennials are currently using, they’ve moved on. Video is one of the most effective marketing mediums. 85 percent of millennials currently use video in their marketing strategies, and almost one-half (45 percent) dedicate more than one-quarter of their budget to it, according to recent research from Magisto. Video is an extremely powerful medium. It can be effortlessly incorporated into social media platforms. It can help showcase brands’ personalities. It can increase brand engagement and awareness. Consumers no longer want to read about a brand—they want to see it. They want to watch the brand story unfold. They want to see the newest product being used. They want to watch a designer sketch a new piece of clothing. Text prohibits how far a consumer can be brought into a brand’s world. Video invites the consumer in and allows them to be a part of it. In the beginning, Facebook was exclusive to college students. Soon after launching, the platform opened its doors to high school students and beyond. However, the primary users were still young adults—no parents, no grandparents. Now, it has become a popular social media platform for parents and a handful of digital-savvy grandparents. News Feeds are cluttered with posts from older generations, and millennials are not interested. They are looking for a new platform—probably to avoid those embarrassing comments from mom and dad. And many moved on to Snapchat. According to a Nielsen study commissioned by the company, Snapchat reaches 41 percent of all 18- to 34-year-olds in the U.S. daily. Big brands such as Taco Bell and Nike have been testing opportunities with Snapchat since last year. Digital marketers, especially those targeting millennials, should follow suit and take a break from Facebook. Snapchat offers a variety of opportunities for marketers. Video ads can be placed within Snapchat’s Live Stories, which are collections of curated Snaps taken by users at events, or Discover, which is where media companies have dedicated channels. Another option is sponsored geofilters, which allow brands to target users based on their location. The targeted users can then choose to overlay the brand’s filter on top of their own image or video. Taco Bell’s Cinco de Mayo geofilter made headlines last year. The filter transformed people’s heads into a giant taco drizzled with sauce. It shattered Snapchat records. Today’s consumers are visual. Most prefer to look at images or watch videos rather than reading articles. This is demonstrated through the influx of listicle articles and online videos, but it is also apparent within social media platforms. Instagram entered the market in 2010 and continues to see exceptional growth. Users can’t get enough of its visual-only feed. One quick glance at an image and they know if they want to like it or not, and it’s on to the next image. Twitter, on the other hand, involves reading text—only 140 characters, but text nonetheless. Marketers need to focus on Instagram, especially if millennials are the target. According to a recent Pew Research Center report, nearly 60 percent of Instagram users are between the ages of 18 and 29, and around one-half of Instagram users visit the platform at least once per day. In contrast, only 36 percent of Twitter’s users are between the ages of 18 and 29, and 42 percent of its users visit the site at least once per day.